The Foundation offers on-site workshops, courses, and seminars on a wide range of historic preservation issues. Topics include compliance with federal laws and regulations, tribal consultation, and integration of historic preservation and environmental statutes. Foundation staff also assist agencies and institutions by developing and managing in-house historic preservation training programs. A workshop in partnership with the Arizona Department of Transportation. A workshop in partnership with the Arizona State Historic Preservation Office. The SRI Foundation, in partnership with the Arizona Department of Transportation (ADOT) and the Arizona State Historic Preservation Office (Arizona SHPO), is offering two consecutive historic preservation workshops. Both workshops include highly interactive exercises, and time for discussions and questions. Summary: This workshop will provide a refresher on the Section 106 process, followed by a discussion on the use of Section 106 program alternatives and other tools to enhance and streamline Section 106 compliance. ADOT’s statewide Programmatic Agreement will be examined and discussed as an example of a program alternative. The workshop will also examine Section 4(f) of the Department of Transportation Act and how to effectively link Section 4(f) and Section 106. Audience: This workshop will benefit practitioners who are new to Section 106 and Section 4(f), and those who have a basic understanding of the two statutes. This workshop will be of particular benefit to cultural resources and environmental professionals working in transportation planning and project delivery. Summary: This workshop will examine best practices for integrating the National Environmental Policy Act (NEPA) and Section 106 of the National Historic Preservation Act. The workshop will focus on the consideration of historic properties as a factor in project decision making, and as a mechanism to streamline NEPA compliance. Distinctions between the two statutes will be discussed, in addition to a review of the Advisory Council on Historic Preservation’s and Council on Environmental Quality’s handbook on integrating NEPA and Section 106. Audience: This workshop is intended for cultural resources and environmental contractors, and agency and tribal personnel who seek to enhance the effectiveness of planning for cultural resources on federal projects. Basic familiarity with Section 106 is required. However, no experience with NEPA is required, as the workshop will provide a review of the NEPA process. Participation in both workshops is not required, although information presented in the second workshop will build on the discussions presented in the first workshop. Mr. Terry H. Klein is the instructor for both workshops, with assistance from ADOT and Arizona SHPO staff. Mr. Klein is a nationally-recognized instructor on Section 106, Section 4(f), and the integration of Section 106 and NEPA. He has written extensively on national best practices that streamline and enhance Section 106 compliance, in the context of project delivery. Mr. Klein is also the chair of the Society for Historical Archaeology’s Governmental Affairs Committee. SPACE IS LIMITED! REGISTER EARLY! FAQ: When and where are your workshops scheduled for the coming year? We don’t schedule our workshops in some central location and expect people to pay travel and per diem costs to come to us. Our workshops come to you! We offer two options for arranging workshops. Click on the buttons below to find out more information. We provide on-site training for government and private sector clients. Choose from one of our pre-developed workshops listed below or we can create a customized workshop catered to fit your organization’s needs. We partner with government and private clients to provide training locally. How well do you know the current legal requirements under Section 106 of the National Historic Preservation Act or the National Environmental Policy Act? This one-day workshop covers the what, who, why, and how of compliance with Section 106 of the National Historic Preservation Act. It offers a basic understanding of Section 106 compliance and introduces such key issues as tribal consultation, coordination with the National Environmental Policy Act, and the role of agreement documents, and strategies for avoiding common problems. Continuing legal education (CLE) credits may be available for this workshop. This two-day workshop on compliance with Section 106 of the National Historic Preservation Act provides a more in-depth understanding of the Section 106 process, working with consulting parties, and bringing projects to a successful completion. This two-day advanced workshop is intended for practitioners who are familiar with the basics of Section 106 compliance. The seminar-style workshop focuses on advanced knowledge, solving common problems, and preparing the agreement documents that bring the Section 106 process to a successful closure. This two-day workshop for Indian tribes begins with a practical review of the Section 106 process in general and particularly as it relates to tribal concerns and issues such as tribal authority on tribal land versus off tribal land, cultural resource identification and evaluation, assessment of effects, and resolution of adverse effects, including preparation of Section 106 agreement documents. The workshop also provides practical suggestions about how tribes can make the most effective use of their opportunities for input in the Section 106 consultation process . 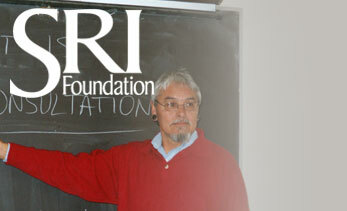 The SRI Foundation is co-teaching a National Highway Institute (NHI) course, entitled “Beyond Compliance: Historic Preservation in Transportation Project Development” (Course Number 142049). This course, developed by SRI Foundation, AMEC Earth & Environmental, Inc., and the University of Maryland, is designed to help transportation, NEPA, and historic preservation professionals meet the requirements of Section 106 regulations and take advantage of the flexibility and autonomy offered in the regulations. The course focuses on the fundamentals of NEPA, Section 106, and Section 4(f) of the Department of Transportation Act, and provides techniques for coordinating transportation planning, project development and compliance with these three laws. The course emphasizes practical approaches for real-world situations and the importance of balancing stewardship and project delivery. Information on this course is available at the NHI website. This workshop focuses on four problem areas – problems of logic, problems of organization, problems of language, and problems of usage. In-class exercises address each of these, and the participants receive a handbook of information, tools, and hints organized around the four problem areas. After the workshop, participants work individually with the course instructor on self-paced writing exercises. These exercises have been specifically designed to develop those skills most needed when writing cultural resource management proposals and reports.